Well, it’s very exciting here – have just received the proofs of the Melbourne Walks book from Woodslane Publishers and the walks and photos and maps are looking terrific! I hope you will think so too. In the last few weeks I have been busy with the final write up and now the designer, editor and cartopgrapher are doing their magic, so the book can be printed and in the shops in September. But with all the writing, I have been missing my regular walks – especially as the weather in Melbourne is just magnificent at the moment! 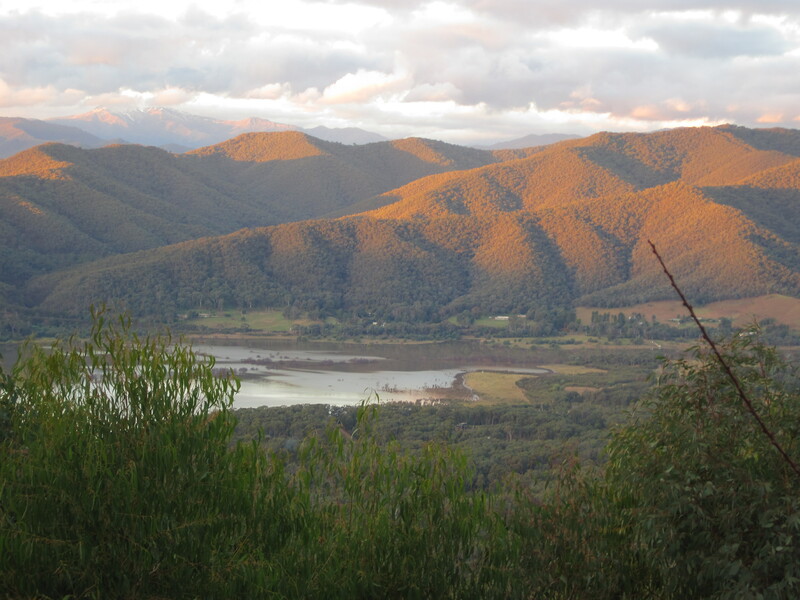 So with the family, we sneaked away from Melbourne for the weekend and headed for Jamieson, in the High Country near Mt Bulla, about 3.5 hours drive north-east of Melbourne. We had a glorious weekend of walking amidst the autumn leaves, boating on Lake Eildon (which is beautiful and 90% full for the first time in 16 years), dodging deer hunters and even doing a bit of horse back trail riding (which just confirmed to me that I am definitely a walker, not a rider!). The Goulburn and Jamieson Rivers were in full flow and there was snow on the hilltops – and we can highly recommend the Kevington Pub – what a classic! It certainly whetted my apetitie for the next two Walks Guides on the agenda, which will be Ballarat and the Goldfields, and Geelong and the Bellarine.